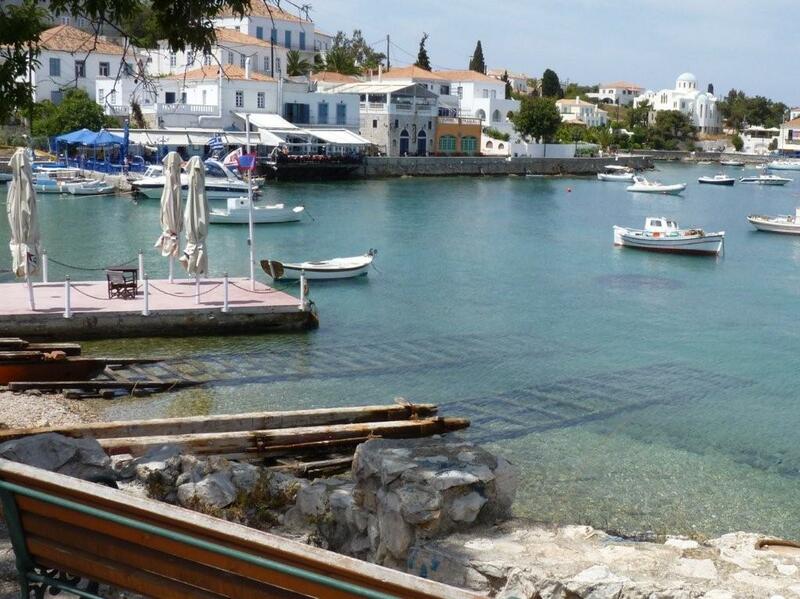 Spetses Island, one on the Saronic Islands, and located in the Saronic Gulf of the Aegean Sea, is a lovely island in which to stop on a crewed yacht charter of the Greek Islands out of Athens. In fact, cruising or sailing into Spetses by private crewed yacht charter is one of the best ways to visit this lovely island as there is no island airport. And, when visiting via private crewed yacht charter it is easy to visit both the main harbor and old harbor of Spetses, or you can do as other visitors and locals alike and cruise into the main harbor of Spetses on your private crewed yacht charter and hire a local traditional horse and carriage for a relaxing ride from the main New Harbor to the Old Harbor along the main coastal drive of Spetses Island. 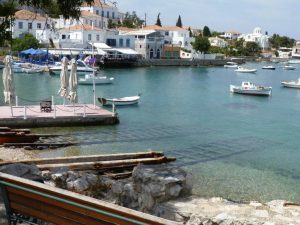 The village area of Spetses Island, known as Spetses Town radiates around the New Harbor and along the coast to the Old Harbor. Coming into Spetses by private crewed charter yacht is generally to arrive into New Harbor with an anchorage area, and also a nice quay for stern to docking. 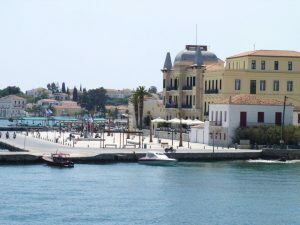 The large open area along the quay called Clock Square in New Harbor is surrounded by large classically designed buildings for which Spetses is known. 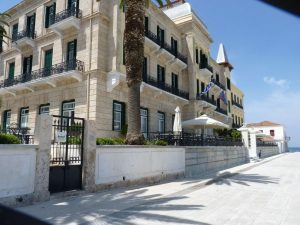 This is an island where the wealthy of Athens have flocked for years, either to their private mansions or to the large classic resort hotels in Spetses Town. 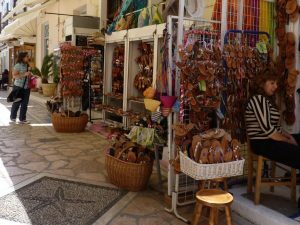 Cars and buses are not allowed into Spetses Town proper as here transportation is by your own two feet, bicycle, motorbike, or the traditional horse and carriage, which is a trademark of Spetses Island. 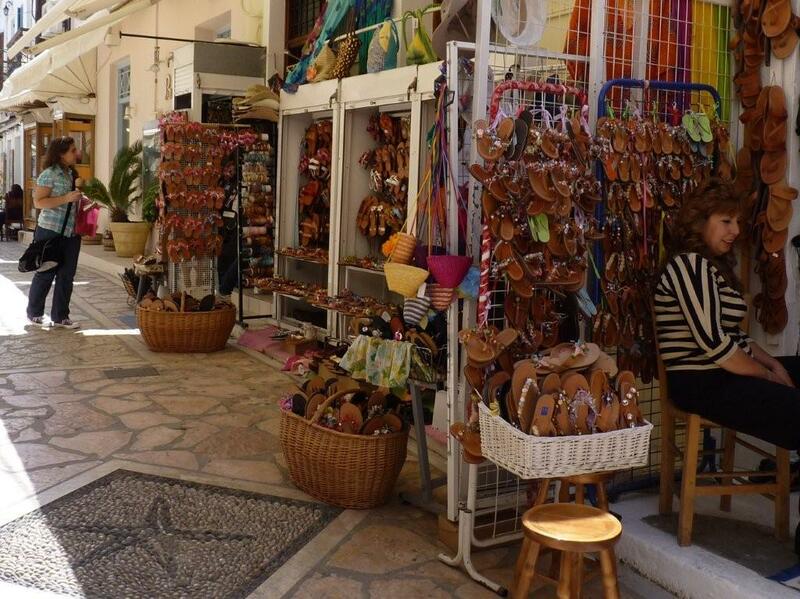 The main center of activity on Spetses is in New Harbor also known as the Dapia area of Spetses Town, which centers on the cobbled stone Clock Square. 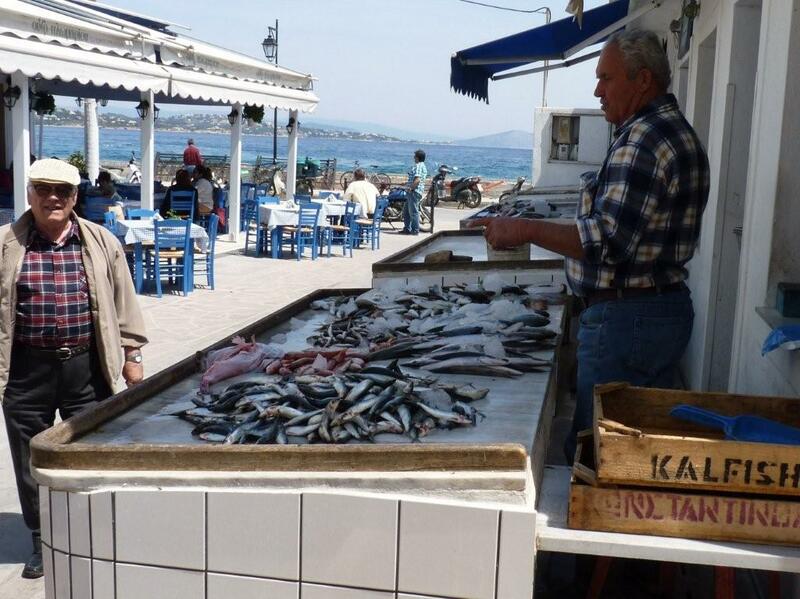 Here are the many shops, cafes, restaurants, banks, and markets, including an open air fish market. Time can easily be spend wandering the front street and many alleyways, stopping at the fish market, sitting in a harbor front café for a cool drink and of course, shopping in the many little shops and boutiques. 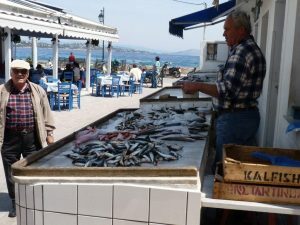 Take a horse and carriage ride along the coast through various neighborhoods that cluster along Spetses Town to Old Harbor, also known as Baltiza, which is a little over one kilometer away. On the way between New Harbor and Old Harbor is the Monastery of Agios Nikolaos, the Patron Saint of Sailors where all yachtsmen should stop, although a strict dress code is enforced of long pants and covered shoulders for all. Old Harbor was once the center of ship building on Spetses Island in the 18th and 19th centuries, and this traditional wooden boat building continues at a slower pace today with traditional wooden boat building seen along the harbor intertwined with the modern small sailing yachts used by locals for recreational sailing. 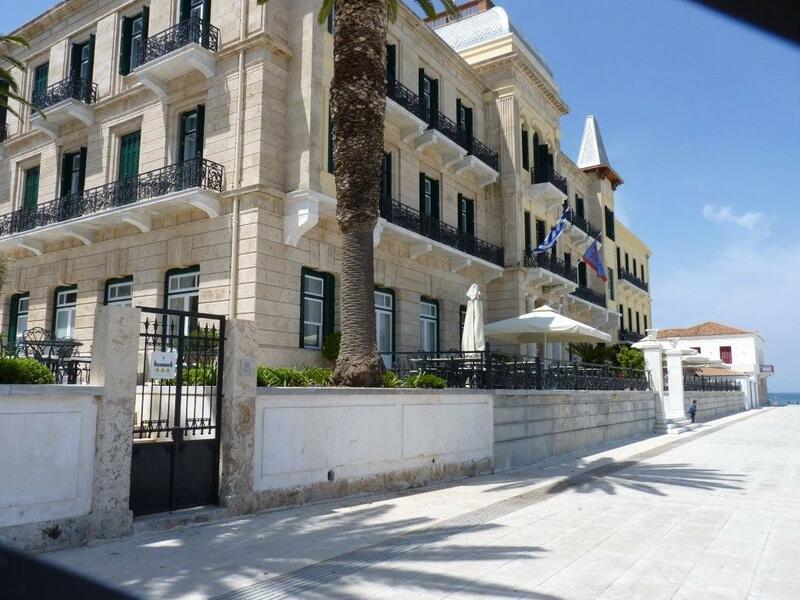 Heading in the other direction from New Harbor is the walled complex of the once prestigious Anargyrios and Korgialeneidos private boarding school for boys where many important Greek men were educated in the 20th century. Spetses Island is a lovely island filled with pine trees gently waving in the breezes along a coastline of soft white sand and shingle beaches. 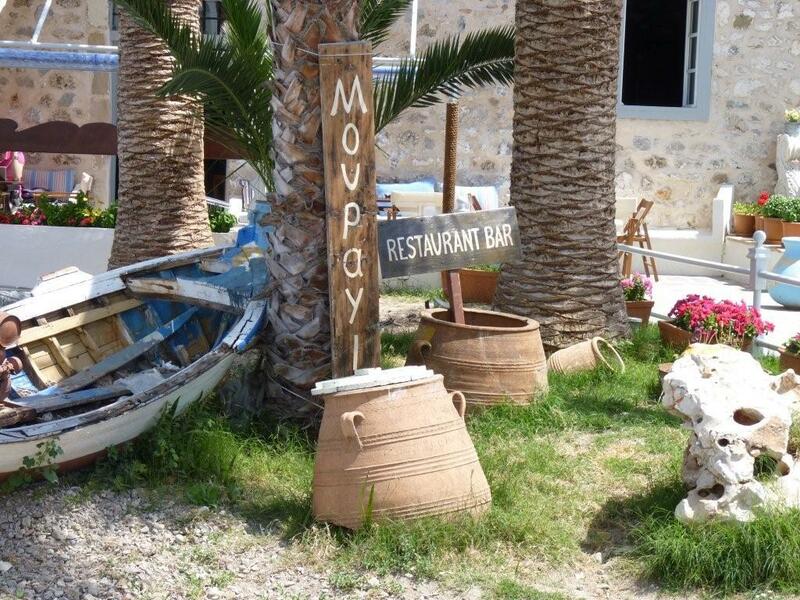 Head out in the ships tender to explore the various anchorages and beaches around the island or rent a moped and hit the roads out of Spetses Town and ride into the beautiful countryside of Spetses Island and enjoy this island that Athenians have been enjoying for centuries.